This is just one of the reasons for these podcasts: to help you improve your fishing and, if you are coming from elsewhere in the world, to come prepared. 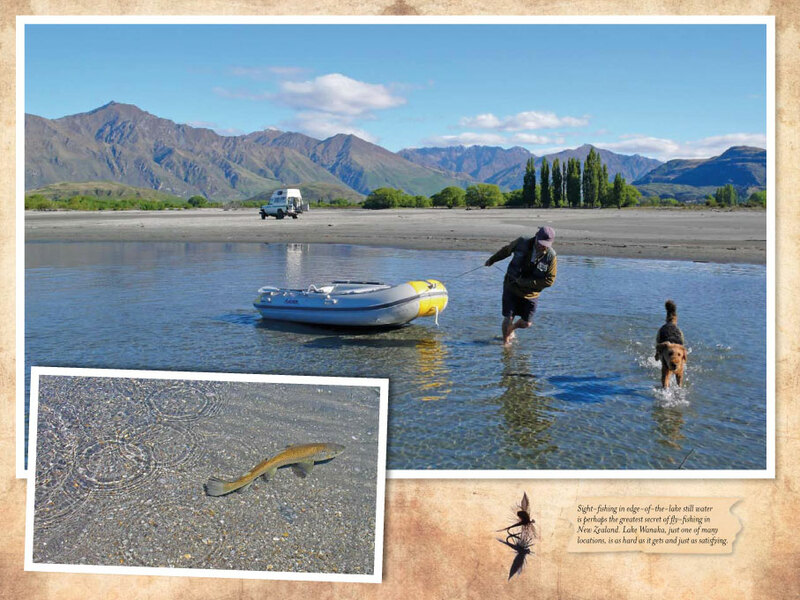 In subsequent episodes I will be brining you the best of New Zealand fly fishing: interviews with top guides, trout scientists, river conservationists, tips and tricks for what to do and what NOT to do here. I will take you with me on the road – the research trips for my trout books – and show you our diverse regions and how they differ through geography and seasons. Another reason for these podcasts is to spread the word about conservation of our trout rivers which are under an unprecedented threat from industrial interests. The more anglers know about this the sooner the change in environmental awareness will come about. So please join us, let our voice be heard. The hour is late. 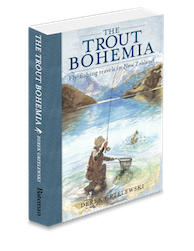 In the course of our journeys you will meet some of the characters who inhabit my books – the trout bohemians – and learn what makes them so passionate about fly fishing in New Zealand. You will gleam some of their river wisdom and experience. 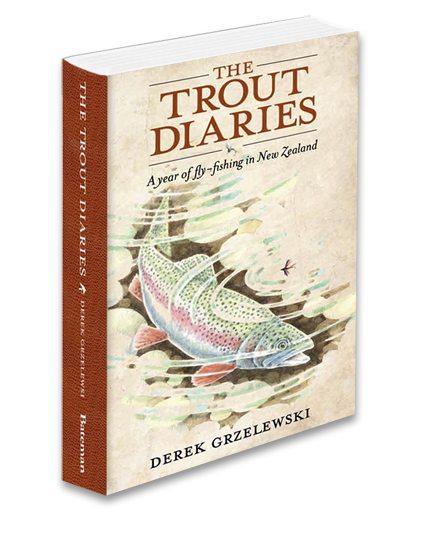 We will finish each episode with an audio excerpt from my books THE TROUT DIARIES and THE TROUT BOHEMIA (which will be out in August) to give you a literary taste of what it’s like to live the trout dream here. There is always a danger in a writer writing about himself and his work so to begin with and, to forestall any self-indulgences on my behalf, here’s an interview about The Trout Diaries which Colin Shepherd did with me for his HOOKED ON FLY FISHING radio show. So, sit back, pour yourself a glass of your favourite, and join us in living the trout fishing dream. 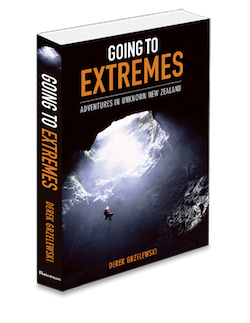 This entry was posted in Adventures, Books, Fly fishing stories, Podcasts by Griz. Bookmark the permalink.